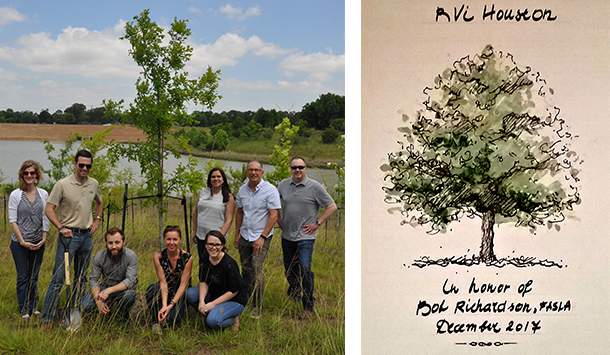 In recognition of RVi Founding Principal Bob Richardson’s 49-year career and his skillful leadership of the firm for over three decades, the RVi Houston office planted a tree in honor of Bob earlier this year. In coordination with Trees for Houston, a non-profit organization whose mission is to plant, protect, and promote trees throughout the greater Houston area, our team planted a 15-gallon tribute tree in the Willow Waterhole Conservation Reserve tribute grove, located in southwest Houston. The areas around the Reserve’s ponds are designated for wildlife conservation and passive recreation, offering visitors walking trails and gazebos for outdoor enjoyment. 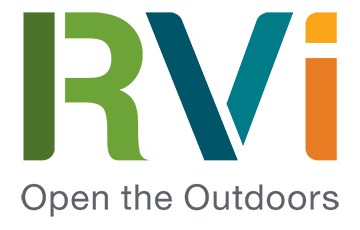 Bob left his mark on countless stellar projects throughout his remarkable career, and he continues to lend his expertise to RVi as a member of our Board of Directors and strategic project consultant. A big thank you to Bob from all of us!